CS were approached by Interserve to supply and install Airfoil Solar Shading and Screening Louvres at the St Piers school. Discover how John Hampden Grammar school tackled the issue of damaged, scruffy walls in their busy corridors, using CS Acrovyn® Impact Resistant Sheet. 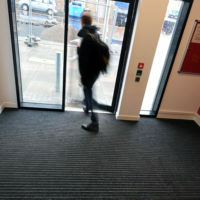 Discover the high performance entrance matting system trapping dirt and moisture at the entrance of a large student accommodation block in Edinburgh. 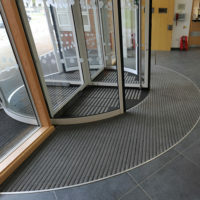 Discover the entrance matting system trapping dirt and moisture and protecting the interior floor finish of Blandford School in Dorset.